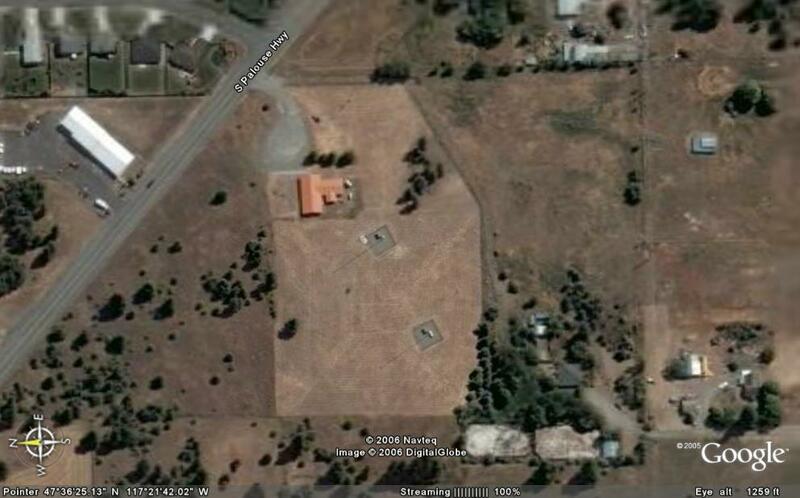 This site is located at 5106 South Palouse Highway on Moran Prairie. 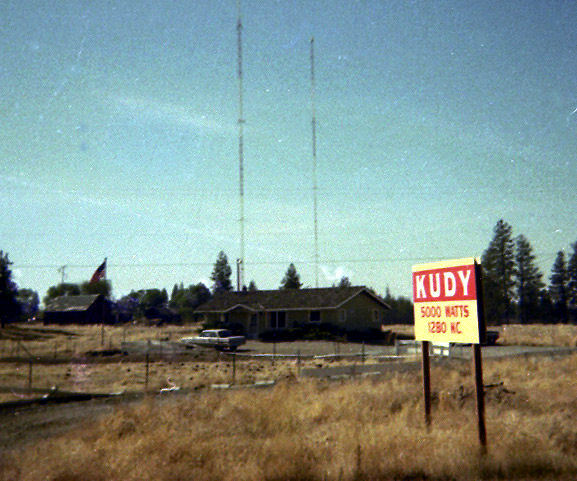 When KUDY first signed on in the 1960's, it was a gospel station, a format it kept until 2002. 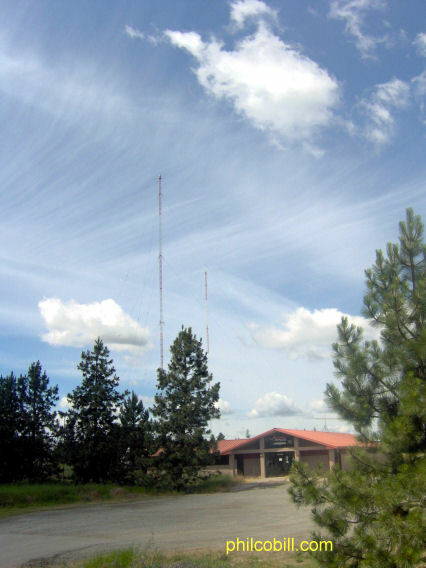 Its directional array, consisting of two 178 foot high towers, mainly protects KIT 1280 in Yakima during the daytime. On 1 January 2002, KUDY changed to KAQQ, moving from 590. 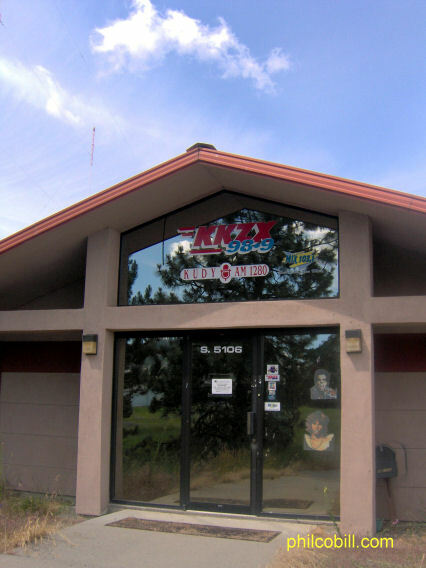 KPTQ has used 1280 from this facility since 10 January 2005. Since sometime in 1998, this facility has also broadcast a station on 1050. From 1998 to 19 August 2001, the call letters were KEYF. Before 1998, KEYF apparently had been broadcasting from South 6019 Crestline Street. Between 20 August 2001 and 4 January 2004, the call letters were KDRK. 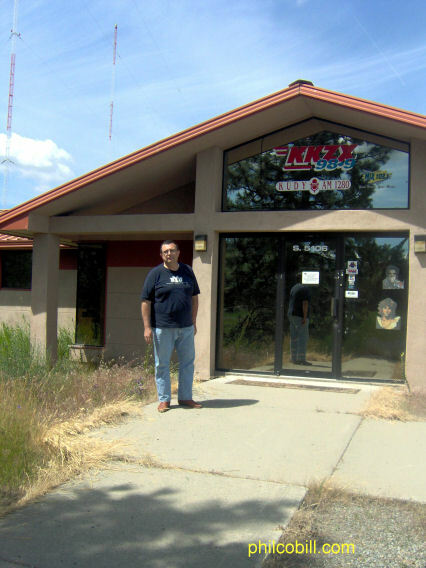 Since 5 January 2004, KEYF once again resumed broadcasting on 1050 using this facility. A renovated studio building still stands on the site but it is not occupied except for the transmitters. 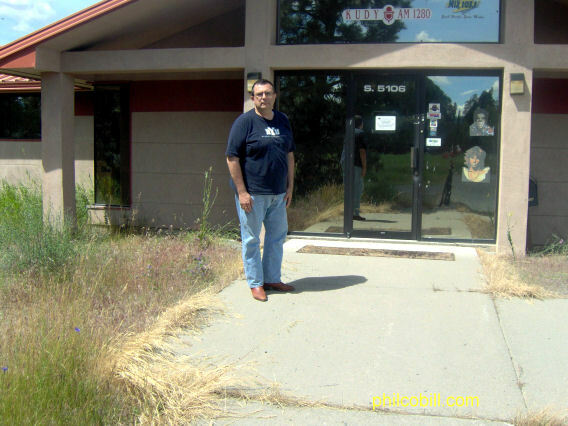 My dad and I visited this site in June 2005 and snapped a few pictures. No one was at the site, not even another car in the parking lot. The building was renovated from the single family home building that existed there when I last visited the site in the early 1970's. If you look closely in the pictures of the entrance below, you can see the stickers of the some of the stations which used to operate from this site. Access to this site was easy. The parking lot was wide open and there was no problem moving around on the building's exterior. Photo taken by Nancy Johnson in about 1974. Both towers are visible. Tower 1 is on the right (SW) and Tower 2 is on the left (NE). A similar view as the one just above. Photo shot on 20 June 2005 by Bill. Note that the building has been renovated and the trees are taller. Photo of building entrance. If you look closely you can see a KUDY 1280 sticker on the window as well as other stations. Other views of the main entrance. Ignore the ugly dude. 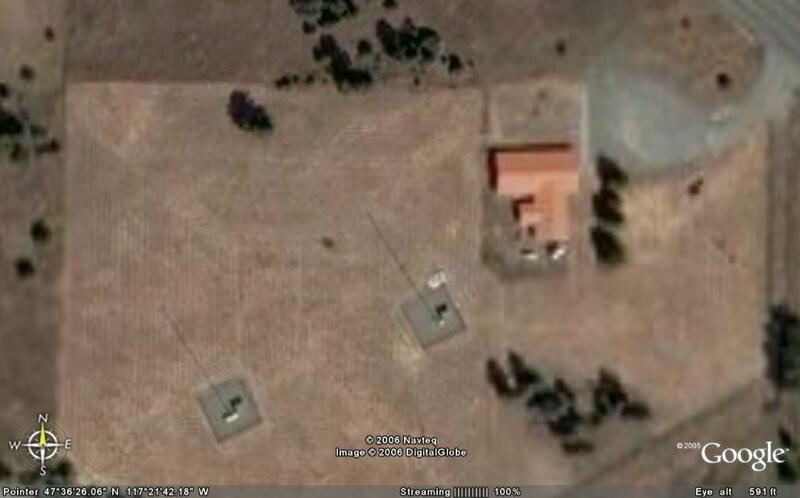 Satellite views of the transmitter site. Broadcast Station Application Records. Federal Communications Communications. Washington, DC. Various dates. Construction Permit and License Record. FCC archives, Washington, DC. From Xen Scott to Bill Harms 26 May 2007. Read, Tom. Email Correspondance, May 2007.